the Library has there own website located here. 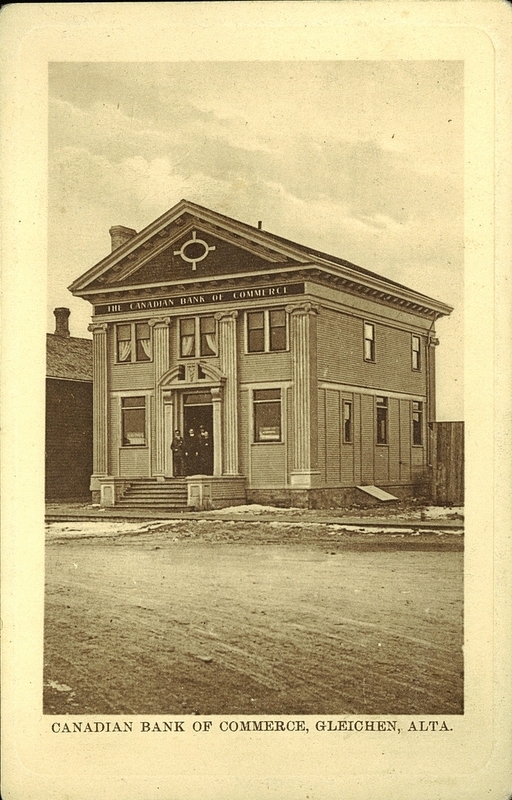 The Library is located in the historic CIBC (Canadian Imperial Bank of Commerce) building. Luckily, the early history (1883 -1967) of the Gleichen & District library was recorded in The Gleichen Call, which reports that, in 1968, Gleichen’s library was housed in Gilbert’s store and had 2500 books on the shelf. At some time in the mid 1970’s, Gilbert’s store, located on the S.E. corner Crowfoot Street (later renamed Main Street) and 4th Ave, was torn down and a car wash was built on its site. Prior to or at that time, the library ceased to operate due to lack of involvement and finances, and its books were put into storage in the court house building’s basement. This building was located on the south side of what is now Main Street, between the old grocery store and the Gleichen Hotel (built in 1984). When the new courthouse was built in 1974, the old courthouse became the town building. 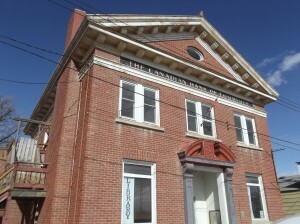 On January 22, 1979, the Town of Gleichen passed a by-law to provide for the establishment of a municipal Library and a board of management The library reopened in the west side of the old courthouse, bringing its books out of storage, while the town office continued to operate out of the smaller east side of this building. As of April 11, 1979, the newly established Library Board consisted of the following membership: Gwen Bolinger, Marion Carpenter ,Willene Clifford, Barb Evans, Shirley Reid, and Judy Sauve, with additions in October of Karen Barstad and Pat Wilson. According to the annual grant application to Alberta Culture Library Services in May of this same year, the Gleichen Municipal Library applied for an annual matching grant based on $2.09 per ca pita (pop. 339), and the grant was matched with $810 appropriated locally by a combination of user fees and funding from the Town of Gleichen. Another matching grant from Alberta Services was received in the spring of 1980. Meanwhile, Southern Alberta Library Services was due to end by March 31, 1980, and the Marigold Steering Committee was making presentations to local municipal councils asking for their financial commitment to help establish a cooperative library system. In March of 1981, the Marigold Library System was established, and the Gleichen Municipal Library joined the Marigold System. In December of that year, the Gleichen Municipal Library was open 7 hours per week, and by 1983, it was open 11 hours per week with a membership of 250, while Gleichen’s population at that time was 381. At some point in the mid 1980’s, a toy library opened in the basement of the town building, and was very popular among its younger patrons. When, in the late 1990’s, the town office moved into the former CIBC building, the toy library moved upstairs beside the main library. 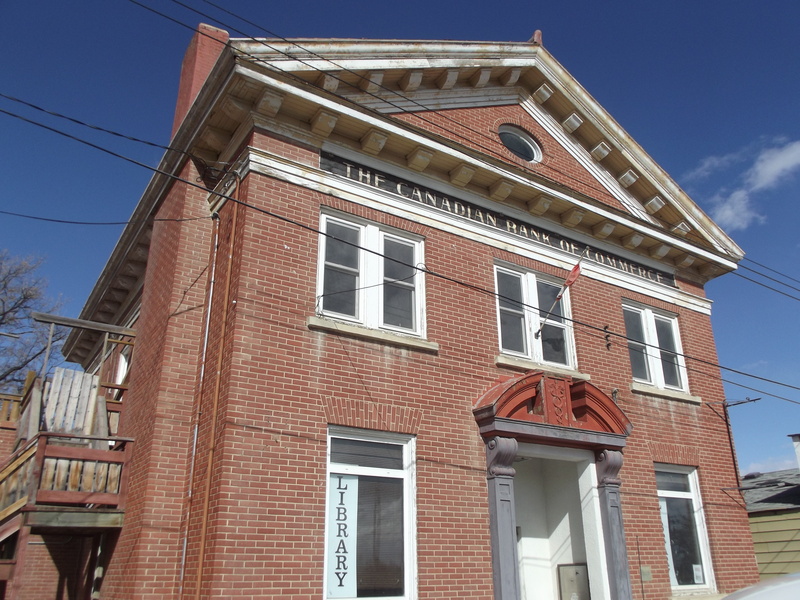 On June 30, 1998, after the Town of Gleichen was dissolved, becoming a hamlet of Wheatland County, the library relocated into the former town hall (CIBC building). Once Gleichen became a hamlet of the county, the library ceased to be a Marigold member, until 2005, when the County of Wheatland joined the Marigold Library System. At that time the Gleichen and District Library had approx 40 card holders.